It’s no secret these days that VCs are getting into data in a meaningful way. Firms can no longer afford to wait for companies, people and trends to come to Sand Hill Road. To start competing for deals, VCs have to be prospecting people, companies and trends well before events like Y Combinator’s Demo Day. 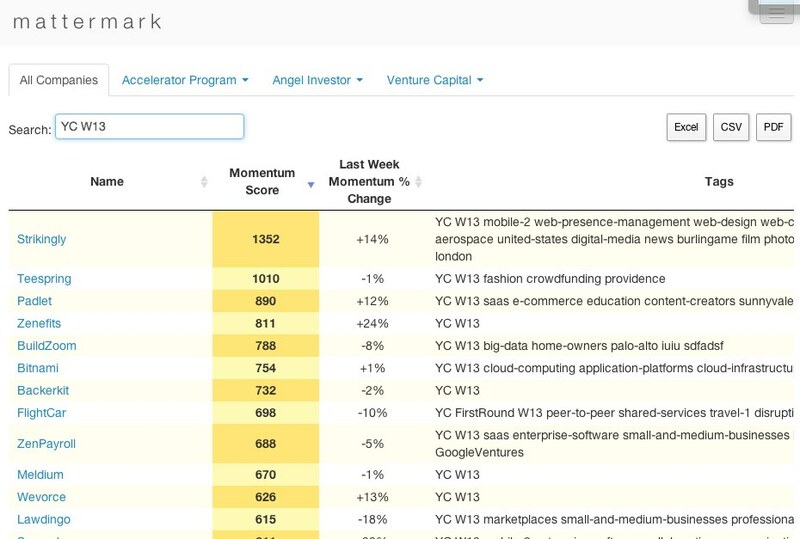 Many VCs have built their own data-parsing platforms internally, but one startup launching today, Mattermark, is hoping to be the go-to software for firms to use when quantifying signals of growing and potentially lucrative startups. Morill, who is a graduate of Y Combinator via Referly, became increasingly intrigued by how VCs could mine data to identify companies. She was previously the Editor of Seattle 2.0 and helped produce Seattle 2.0 Index, which was a monthly ranked list of all the local startups. Based on her experiences, she realized there was an opportunity to use some of this data in the VC world. As she explains, “If VCs don’t see a company until YC’s Demo Day, they have less of a chance of winning the deal. So investors need to get smart and identify these opportunities beforehand,” she says. The software allows VCs to access data from Twitter, news sites, SEC filings, LinkedIn, AngelList, CrunchBase, and the company’s own propriety Startup Index in order to spot potential opportunities and track existing startups. Here is an interesting example of some of the data dives that Morill and her team are experimenting with.